The 18-hole Country Club at Muirfield Village in Dublin, OH is a private golf course that opened in 1982. Designed by Jack Nicklaus, Country Club at Muirfield Village measures 6875 yards from the longest tees and has a slope rating of 125 and a 72. The 18-hole Golf Club of Dublin in Dublin, OH is a public golf course that opened in 2002. 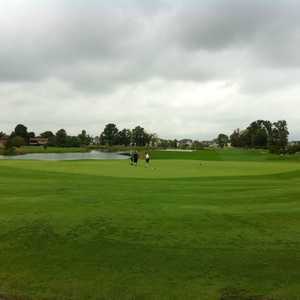 Golf Club of Dublin measures 7021 yards from the longest tees and has a slope rating of 128 and a 72. The 18-hole Muirfield Village Golf Club in Dublin, OH is a private golf course that opened in 1974. Designed by Jack Nicklaus, Muirfield Village Golf Club measures 7392 yards from the longest tees and has a slope rating of 153 and a 76. 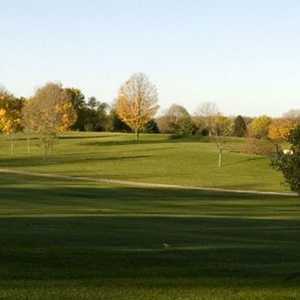 The 18-hole Tartan Fields Golf Club in Dublin, OH is a private golf course that opened in 1998. Tartan Fields Golf Club measures 7083 yards from the longest tees and has a slope rating of 141 and a 74.